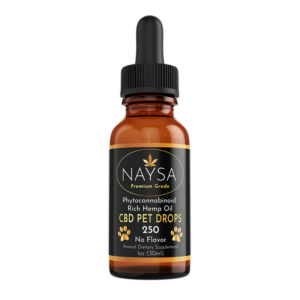 Transform your pet with CBD Pet Treats. 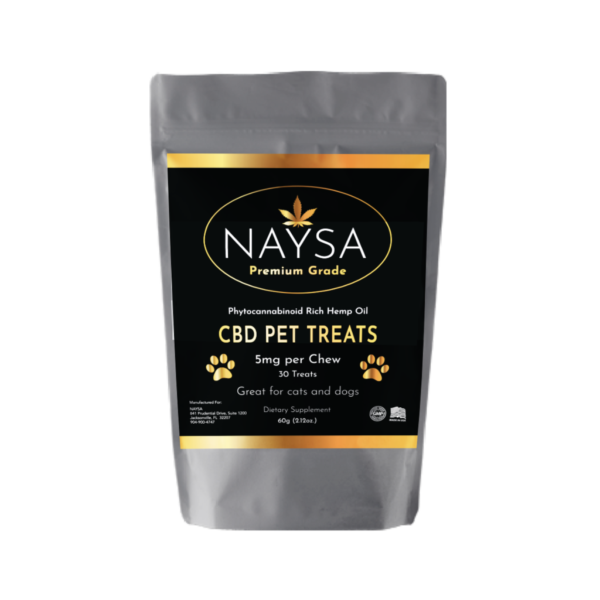 CBD Pet Treats are perfect for cats and dogs! 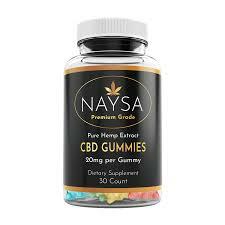 Made with CBD and only the best, all-natural ingredients that help promote homeostasis, keeping your best friend’s body in perfect balance and helping them stay healthy and happy. 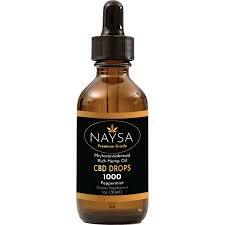 A convenient, delicious & beneficial way to make CBD part or your pet’s diet. Every bite is rewarding, tasty and healthy! 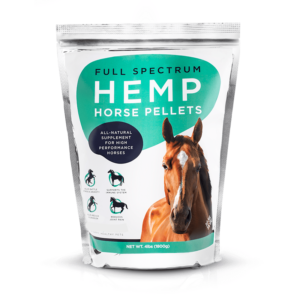 Rice Bran, Cane Molasses, Rice Flour, Water, Tapioca Starch, Cheese Flavor, Lecithin, Safflower Oil, Glycerin, Passion Flower, Valerian Root, Ginger Root, Ascorbic Acid, Sorbic Acid, Calcium Propionate, Hemp Oil, Vitamin E.
Pets less than 15 lbs. 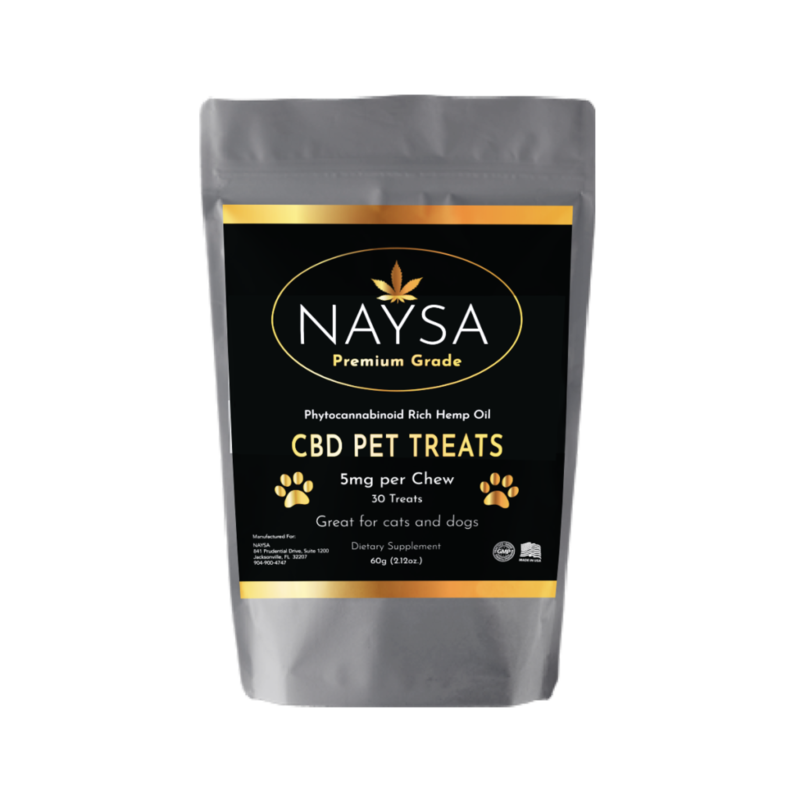 get 1 treat, over 15 lbs. get 2 treats. No more than 2 servings per day.